The department of Computer Engineering in the college was established in the year 2000 which offers B. Tech. 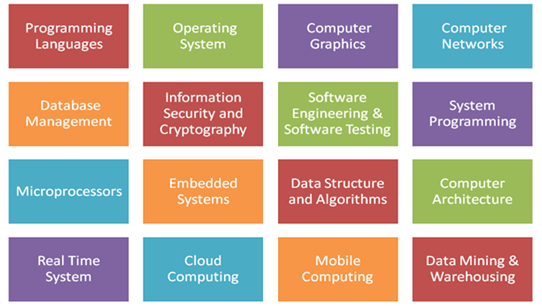 degree course in Computer Engineering of four years duration. It was started with the object of promoting specialized knowledgeable in the field of Computer Engineering. In Computer Science & Engineering the student will go through the algorithms, programming languages, operating systems, database management systems, computer network, computer graphics, artificial intelligence etc. The Department of Computer Engineering is a centre of excellence providing in-depth technical knowledge and opportunities for innovation and research with up-to-date computer facilities. The student intake capacity of the department is 60. The Department has well equipped laboratories consisting of the High Performance Computing Systems and Servers. Best-in-class infrastructure and faculty profile. Placements in the best national and international companies like Infosys, TCS, Wipro etc. To contribute effectively to the important national endeavor to produce quality human resource in the information technology and related areas for sustainable development of the country’s IT industry needs inculcating moral values and societal concerns. Provide exposure of latest tools and technologies in the area of engineering and technology. Creating knowledge of fundamental principles and innovative technologies through research within the core areas of computer science and also in inter-disciplinary topics. Serving the communities to which we belong at local and national levels, combined with a deep awareness of our ethical responsibilities to our profession and to society. Enhance Industry Institute Interaction programme to get acquainted with corporate culture. C & Data Structure Lab. X- Windows and Visual Programming Lab. SAD & Software Development Lab. The Department is regularly discussed in the faculty meetings and is updated whenever necessary. Department is also discussed in the Board of Studies meetings and suggestions (if any) are incorporated. A discussion also takes place in meetings with the colleagues from the industry and academia. The alumni, who attend the alumni meet which is held in the month of April / May every year. External visitors from the academia and the industry, who visit the department from time to time for presentations, viva-voce examinations, workshops, conferences etc. There are ample of job opportunities in the field of Computer Engineering. After obtaining a degree in Computer Engineering, one can expect handsome salary packages in Government as well as Private sector. A fresher can get the initial package of 2 lakh per annum to 3 lakh per annum in India. In abroad, he can get the salary in six figures. After gaining a minimum of 2 years experience, the salary can get just double of it. There is no criterion of salary for the brilliant or an experienced candidate.